We provide Ammonium Sulphate that offers an equal balance of Nitrogen and Sulphur. It is a finely crystalline that is available in both standard and granular form. We are recognized as one of eminent Ammonium Sulphate Suppliers in India. 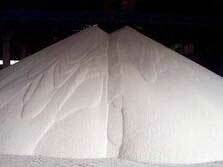 We provide Ammonium Sulphate in bulk quantity and that too at highly competitive prices.